Guest Post – Life as a Jonnie! I have previously had a series on the blog called ‘Over to You’. This was an open invitation to my readers who may have stories to tell but no blog or means to share them, to write it down and email it to me so that I can share your stories with some of your fellow readers. It went well for a few weeks but gradually fizzled out as other things took over (Chronicles of EMS, etc). However, one of my readers, Nick, who has contributed to this blog in the past has just send in another guest post. One which I would like to share with you all. I have mentioned in the past about the voluntary agencies that help us out from time to time and the rough deal that they can sometimes get from some of the paramedics out there who don’t truly appreciate what they do. Well, this following post explains the role of the St John Ambulance service and how it fits into the NHS Ambulance service at times of need. This is my second guest post on Medic999’s blog. 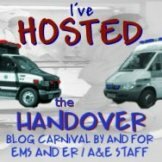 In my first post, called “When My Two Worlds Collided”, I discussed a situation where I suddenly and dramatically became involved in a roadside resuscitation, these things are a fairly rare event though and so I thought I would write this time about what it is normally like to be a part time First Aider and ambulance crew member. I hope this will help to explain a little bit about what motivates St John Ambulance members and dispel some of the myths that we are First Aiders in vans or some kind of strange geeks who are all “wannabe” Paramedics. I guess I should explain a little bit about what St John Ambulance is for any readers who are not from the UK and don’t know anything about us. We are a volunteer service of around 40,000 members; we also have the largest fleet of ambulances in the UK. St John Ambulance is present at very many large events such as the London Marathon and also hundreds, if not thousands, of small local events such as church fairs and village shows. St John used to have a slogan “helping Britain to enjoy its self” and I think this sums up a lot of what we do as a first aid organisation. We also have a less well known role as the National Ambulance Reserve; this tasks us with providing a reserve of ambulances and crews to support the NHS ambulance services in times of need. This is a very serious and important role in a post 9/11 and 7/7 world. An example of how this works in practice was during the London Bombings on 7/7/2005 St John supplied 37 ambulances and 20 support vehicles and supplied first aid cover at locations such as the temporary morgue. At the same time 18 other counties of St John Volunteers had units available to be deployed immediately had they been required. We have also recently supported the NHS during flooding that occurred in northern England and as I write in early January the memory of doing NHS cover shifts over the Christmas and New Year period are still clear in my mind. During the time of me starting to write this piece our major incident response was tested to the full in my locality when a massive gas explosion occurred in my town – miraculously and thankfully nobody was killed although a number of people were seriously injured. St John Ambulance quickly had 7 vehicles including ambulances, support vehicles and a mobile treatment centre on scene – on this occasion I was not deployed but I was at home ready to go and I was very proud to see my friends and colleagues on the news pictures doing their work. Away from the ambulance and major incident role the British public are very used to seeing us at events in our distinctive black and white uniform but I think they often under estimate our abilities and to be honest sometimes are so used to seeing us they take us for granted – I have found this rapidly changes if an incident occurs and our help is required! A question I am often asked is “why do you do it?” and I find this very difficult to answer. I started doing it because I was simply spending too many evenings sat in front of the TV and really doing nothing of any use. I thought it would be good to do something that would fill a few evenings a week; little did I know how it would take over my life, last year I did some 650 hours on duty (this works out to around 16 full time weeks at work) whilst holding down a full time job as a manager in an engineering company. Frankly I do it because I enjoy it, for me it is not that I have a burning desire to do good and charitable works but it is nice that this is the outcome. I enjoy the challenge of doing a technical and complex job that is so completely different to what I do 9-5 each day which answers another question I am sometimes asked, namely would I want to do it full time? – the answer to that is no, I don’t think I would. I love what I do but I am not sure I would love it if I did it every day. I am trained by St John to the level of an Emergency Transport Attendant which is the highest level of medical training available to a lay member; this took several years of doing first aid duties and gaining a high level of experience at that level. The actual ETA course was 10 days long and was taught by an experienced Paramedic trainer from the local NHS ambulance service trust. This was followed by practical and written assessments and a period of 3rd manning with more experienced members. The formal training process took some 6 months to complete. It is hard to explain where our level of training sits, some people say we are trained to Ambulance Technician level but this is not strictly true, what we learn, we learn to Tech level but we do not cover the full syllabus – most notably we cannot carry out any invasive procedure including taking a BM (a real bone of contention with SJA crews) and we have no training on ECGs. I can now (and regularly do) crew a frontline ambulance at events and in support of the NHS. In my area we currently provide regular cover to the local ambulance service as they have severe staffing issues which are currently being rectified, once this happens I guess the amount of “999” work we do will reduce dramatically which I think will be a real shame, the experience we gain and the relationships we build with our NHS colleagues cannot come from any number of courses and training sessions – we will see how that develops. The type of work we do on NHS cover varies widely from one shift to the next but we are able to attend any level of call although all chest pain type calls must be Paramedic supported because as stated above we cannot do ECGs and we cannot give more than O2 and Aspirin. This works well as we are seen as a BLS first response and then once the Paramedic is on scene they can opt to travel in the ambulance while the SJA crew member drives the RRV to the hospital. We also do a good number of “Doctor urgent” calls where we transport, often chronically, ill patients at the request of their GP. I am always happy to do this sort of work as it frees up our NHS colleagues to cover the emergency work. In truth most shifts are a mix of both types of call and the work is enjoyable and varied. Incidentally in my area we are paid when we do NHS cover shifts, this is not always the case across the country as different counties can set their own policy. The other type of work we do is event cover, either as a first aider or as an ambulance crew. This can be huge events such as major sporting events like the London Marathon or Rugby internationals at Twickenham Stadium and some large concerts like the V Festivals. These are highly organised events with Gold, Silver and Bronze command structures. At the other end of the scale are small, local events where there may be just 2 First Aiders on duty, in some ways these are the more difficult to do as you are very much on your own – at the larger events you may well have Paramedics, Nurses and Doctors immediately available if something goes pear shaped, at the smaller event you may have to wait for an ambulance to arrive for professional assistance. I will never regret joining St John, I have met people who I respect greatly and I have met and treated some fantastic members of the public (as well as quite a few who were not so fantastic). I think the organisation is a much loved but much misunderstood part of British life – and I hope my notes here help to correct and inform a few opinions. Just think next time you see a Johnnie at the football, marathon or your village fete it might be me, feel free to say hello (but please don’t ask me where the toilets are – a Johnnie in joke there). As a volunteer myself I can relate to a lot in this post. I do however have a question: what do you mean by a BM? I think BM means something VERY different here in the US. Hi Jonnie,I'm a CFR through a St John scheme. Whilst we don't go to trauma, I can understand your frustrations with some of the regs, particularly with regard to BM.A patient can do a BM. Their sig other can do one, and so can a parent. Their kid can do one.It seems that the only people who can't do a BM are the voluntary aid societies.Similarly, I am not allowed, as a CFR, to take a patient's temperature. All I can do is put my hand on their brow and say “I think she's a bit warm”.OK, a BM is invasive. Putting an OPA down a patient's throat isn't? However, I'm allowed to do the latter but not the former – except under the command of a paramedic, and that happens regularly.I'm well impressed with what my counterparts in uniform do. If I had the time spare, I'd put on the black & white myself but I do as many hours as a CFR as you do in uniform.Well done. I wouldn't say that the NHS would collapse without us (as the professionals wouldn't let it) but the service would be poorer. Hi, I wrote the post – my name is Nick by the way.A BM is a blood glucose test (Wikipedia tells me it is short for Boehringer Mannheim test). We cannot do it as it involves pricking the finger and we are not allowed to carry out any invasive procedure.A lot of St John volunteers think this is a rule that stops us giving the very best care to some of our patients.I dread to think what BM means over the pond – I hope it made you smile anyway!Nick. Nick, Im sorry I didnt mention your name in the post, but I get so many emails etc these days I couldnt remember if you wanted to be annonymous or not.I have edited the text now to show your name. We're the same in the Red Cross – our Resus Support and Monitoring trained volunteers can do BM tests, but only if we are Hep B vaccinated. Never mind the arterial bleed we're both trying to treat…We can do quite a bit over the standard first aid course in the Red Cross but every volunteer is told the same thing – you give the very best care you can regardless of what equipment you have, and if you have oxygen available or whatever then even better, but the basics are vitally important. Nick, I can't thank you enough for your post, as I've always had admiration for what you guys do. I will say this about your relationship with NHS; it seems like a seamless system and just as much a part of the EMS system.It is your level of dedication that makes the service you provide so valuable. For that reason alone you and your mates could never be paid enough for what you do.Here in the States, our volunteer system is QUITE different and in some respects completely backwards from what you describe. We seem to be locked in an US v. THEM battle as professional standards of care are implimented across the country. Would you believe that there are counties that priority dispatch serious medical and trauma calls to a volunteer agency staffed by BLS crews, and send the “granny totes” to a career agency that has staffed medic trucks? It happens ALL the time and is quite the standard in most places.If you ever happen to read my writings you'll hear my frustrations with my system here. But after reading how well you work in yours…it kinda softens the blow a little. Good Day…. I've also thought of another “essential” I can't use. As CFRs are not KNOWINGLY sent to trauma, I'm not allowed Entonox.That would be fine, except that in the last 10 days, I could have used it four times. That's twice as much as I've used O2 in the same period. OK, one of these was actually a trauma injury – the “collapsed” male had actually slipped on ice. The only treatment I could give was reassurance and to add my blanket to the quilt already covering him.However, what could I do for a young woman with an obvious high temperature who had very severe head pain? CVA was not suspected but she appeared to be suffering some post-operative infection. The first resort of the crew was, of course, Entonox which soon worked and she felt human again. I'd just had to stand there getting a history from the family.Another was a 70yo bloke with very severe abdo pain who was waiting for a scan for ?gallstones.What is the issue with Entonox? It's self administered and there are few contraindications. Thanks to everyone for the feed back to my guest post and thanks to Mark for “hosting” it.The Gate Keeper – although my post is very positive there are issues within St John Ambulance but they are, in my opinion, far out weighed by the good things.I also wanted to keep my post in the same vein as Mark's blog with a broadly positive outlook on life – it works for him and as they say “if it isn't broke, don't fix it”I will say, certainly in my locality, the relationship between SJA and our NHS colleagues is very good and we are welcomed into the station crew rooms when standing by and treated as equals when on a job.I think this is largely due to the fact that we are there every weekend (day and night) in support of them and they know us and have worked with us on many occasions.The system is seamless when we do this work as we are fully under the management and control of the NHS, we are dispatched by exactly the same Emergency Operations Centre as out NHS counterparts and are on their plan as just another asset.From reading Mark's blog I do not think they have the same situation in his area so it seems he does not know his local SJA ambulance crews in the same way as a Paramedic in my area might know me for instance.As I hinted at in my post my local ambulance service trust is recruiting heavily at the moment and I assume once the new staff are in place we will reduce the amount of cover we supply. This may have a detrimental effect on that relationship which will be a real shame.Stuart M – it does seem a bit odd that the criteria to be able to do a BM or not is a HepB jab – I can only assume this is because a sharp is involved? ?MarkUK – SJA does not run the CFR's in my area and there is a surprisingly small crossover between the 2 set ups (to the detriment of both in my opinion). I have been thinking about joining our CFR scheme myself but there is the usual daft situation where they do not recognise my ETA course so I would have to do the whole FPOS course (in the same way a CFR who joins us has to do a first aid course)I understand your point about Entonox but I guess the line has to drawn somewhere, as an ETA I have Entonox available to me.Once again thanks for all of the feedback.All the best.Nick. Its not just that its invasive, you also need to be able to interpret the result, and decide on the best course of action. anybody can treat a number but you need to see the bigger picture in oder to do the job properly. Hi Al,thanks for your feedback – I must admit I don't know much about your organisation although a quick look at your website shows you are very similar to St John.I think it would be interesting to learn a bit more, perhaps you could also write a guest post – I am sure Mark would host it and it would go well alongside Mark's interest of various EMS systems around the world.As an update our local ambulance service trust has resolved a lot of it's issues and so have stopped using us on such a regular basis but still use us as and when they have a need (a sad but inevitable example being; we provided a crew last weekend at short notice to replace a NHS crew that had been assaulted) – hopefully the connection will remain and we can continue to gain the experience from working with our NHS colleagues.All the best.Nick. i know what you mean by getting sucked in. it all started when a friend at college said what do you do on thursday? i (stupidly) replied noting at the moment. he your busy now, your coming to cadets with me. i have now been totally sucked in.